KC Environment Fund information sessions. Come along to chat with Nicholas Alexander from Kingborough Council about the recently announced $800,000 Environment Fund. Have your project ideas for your property ready . 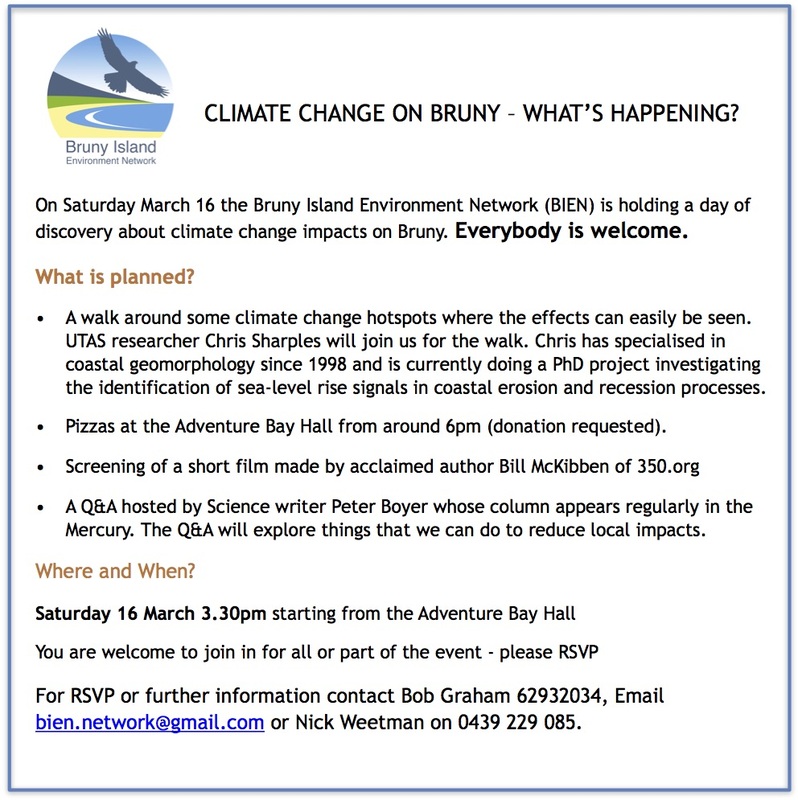 Following a presentation by Peter Cosier of the Wentworth Group of Concerned Scientists in 2017, a proposal to undertake work to build a set of accounts for Bruny has been bubbling away. The basic idea is very simple. Just as we have economic accounts for businesses, farms, councils, states and the nation, so we’d like to build environmental accounts for how we are doing with rivers, forests, beaches and wildlife that can be aggregated up to the national level. Doing this, however, is more complex than the simple idea. 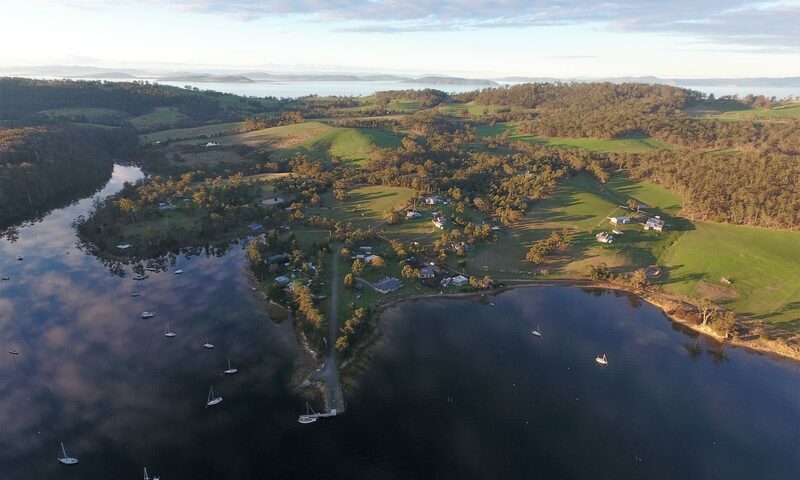 Bruny is a perfect test-bed to try ideas out: it is small, but diverse, and as the Bruny Life survey showed, over 90% of residents are passionate about keeping our environment in good condition. There is an old saying: “you cannot manage what you cannot measure” and environmental accounts attempt to do just that: measure the environment. We have so far spoken with the local Natural Resource Management body NRM South, to most of the community groups on Bruny, to Tasmanian Land Conservancy and to the University of Tasmania. Interest is certainly there, and we have a meeting with various government bodies, the university and tourist operators coming up in April 2019, where we will try to develop a process to move from ideas to action. First Committee meeting for 2019 will be held on Sunday 17th February. All members are welcome to attend. We will be meeting at the picnic shelter at the beginning of Mavista Falls walk. Bring your own chair, snack or lunch and a cup for coffee. Optional walk up the falls track after meeting. 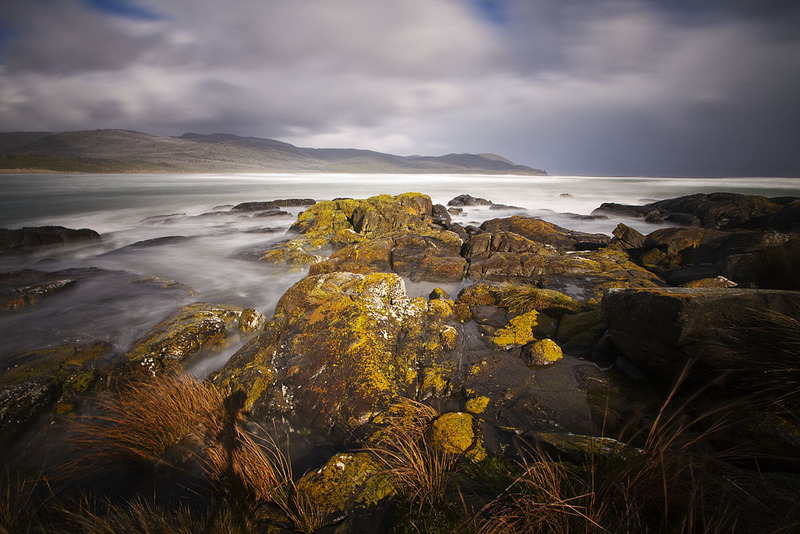 With roots in 2016, a small band of interested people are developing an approach to accounting across environmental, social and economic indicators for Bruny Island. Bruny Life , a survey funded through Kingborough Council to assess peoples’ attitudes and desires for the future of Bruny Island, recommended that such an approach be developed, and the Bruny Island Environmental Accounting proposal has been given the thumbs up from both the Bruny Island Advisory Committee and BIEN to date. As it is critical that the island community feel ownership of the process, this will be developed over the coming months. The proposal has also attracted interested from the University of Tasmania, where workshops have been held to assess how researchers there can best contribute to the ideas.